Sugar is a contributing factor to many diseases. It causes aging, obesity, and is incredibly addictive. A growing number of people who strive for good health will limit or eliminate their sugar consumption. We recommend that all patients remove refined sugar from their diet, and acknowledge that, like quitting any other addition, it can be a very difficult process. Here are a few healthy food alternatives that can help you cut the sugar cravings! 1. Cinnamon – Cinnamon is excellent for keeping blood sugar levels stabilized and also has great health benefits. Many studies indicate that 1/2 teaspoon per day can help reduce sugar cravings. 2. Nut Butters – Naturally sweet and loaded with protein and fiber, nut butters are a quick, convenient way to control sugar cravings. 3. 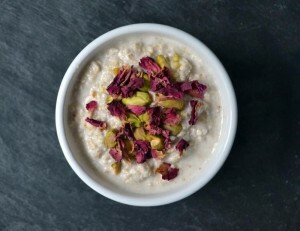 Oatmeal – The Department of Biochemistry at the University of Sydney, Australia created a satiety ranking of different foods, and found that oatmeal was near third on the list, with only fish and potatoes ranking higher. When you feel satiated, it goes a long way to fighting off sugar cravings. 4. Cold Water Oily Fish – Fish like herring, sardines, and mackerel leave you satiated. Their Omega-3 fatty acids and Vitamin D can also increase serotonin levels and reduce carbohydrate cravings. 5. Fruit and High Protein Vegetables – Though fruit contains fructose, it is generally not harmful because of it contains fiber that helps to control sugar absorption and metabolism. Stick to high protein fruits and vegetables for good overall health. Article adapted from Natural News.